The FSU has been asked to send this time-urgent message to you (see below). We are sending you this attached urgent statement for University-wide dissemination. It’s a statement by faculty, staff, and students from the UMass Boston community expressing dismay about and resistance to the Mt. Ida purchase by UMass Amherst and to the overall disrespect the campus has been subjected to. 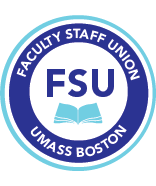 The statement was prompted by Boston Mayor Walsh’s recognition of our value as an institution and his suggestion that maybe the city should be more closely involved in the university’s operations. The statement thanks him for his interest in the campus and also recognizes other powerful voices that have spoken up in our behalf. Those willing to sign can be so by sending their name and affiliation (Student, Staff or Faculty) to reyes.coll-tellechea@umb.edu before 5 PM, today, Monday, May 7th. It has already gathered more than 200 signatures in less than 24 hours.